Join us for one of our new summer dance camps! New this year – We are offering full week camps! Dancers may register for the whole week or just for a single day. Please make sure to register under the correct session for camps (whole week and single day have separate sessions in our registration system). Week long camps – Monday thru Thursday 9:00 a.m. to 12:00 p.m.
*Dancers need to bring a small snack and beverage each day. Single Day Camps: 9:00 a.m. to 12:00 p.m.
All camps are for children ages 3 ½ – 6 years old. Get ready to go coconuts on a magical Ooh La La Aloha dancing adventure! 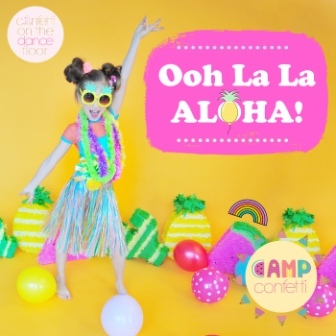 In this camp, your tiny dancer will set sail across tropical turquoise waters to the Paradise Lagoon, glide over to the Pom Pom Palm Tree Forest, and even dance at the Sparkle-tastic Underwater Hula Disco! Guided by their feathery friend, Lulu, they’ll dance across the islands collecting fun mementos for the big island Oh Wow Luau summer celebration! Your island cutie will love the Hawaiian-inspired crafts and dancing fun on this sunny adventure! Allons-y, mes amies! Let’s go, friends! 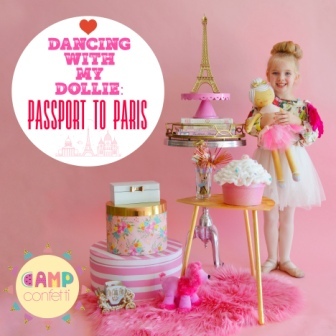 Tiny dancers will say bonjour to an amazing adventure that’s double the fun with their favorite dollie in this fun dance camp! Together, they’ll tour all the magical sites of Paris and make fun memories with their dollie along the way: painting and tapping at the Eiffel Tower, twirling with pastries and tea in the gardens, and doing the can-can with their new friend Fifi the poodle! Don’t forget all the trés chic Parisian crafts especially for your dancer and her dollie, and VOILÁ! This dance camp is the perfect passport offering twice the fun for your dancer and her best dollie friend! 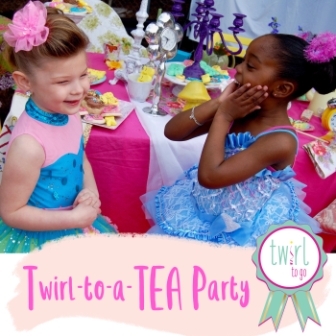 Dancers will love to be a guest at our Twirl-to-a-Tea Party dance camp! This elegant bash includes creative movement and dance. Dancers are invited to wear their finest tea party-themed attire. Step right up — we’ve got your ticket to ride (and dance)! 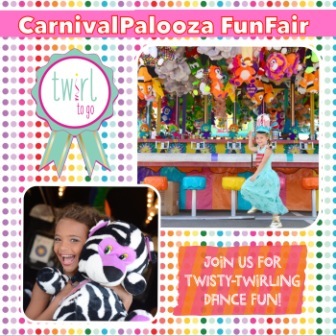 And, the CarinivalPalooza FunFair is no average fair! Dancers will have a twisty-twirling time on this thrilling ride, and we’re not clowning around! 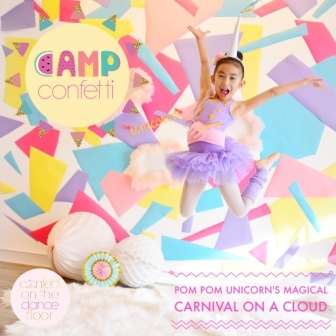 Your dancer will love dancing through the pink sky to Pom Pom Unicorn’s Magical Carnival on a Cloud! Tiny dancers will climb the sparkly rainbow and soar through the Cotton Candy Clouds as magical unicorns in this sweet dance camp! This magical camp is full of all things unicorn, dancing, carnival games, glittery crafts and even Rainbow Rewards (aka fun prizes)! It’s sure to be a magical time! 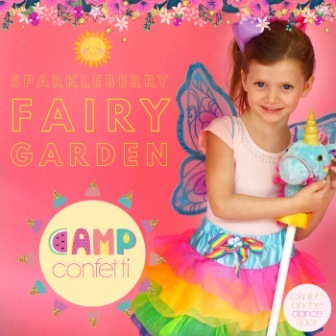 Your petite dancer will not want to miss the Sparkleberry Fairy Garden annual party! Dancers will join fairy friends, fancy flamingos, and a colorful rainbow of dancing fruits and flowers for a fairy sparkling good time! This magical camp is full of pixie dust, dancing, games, glittery crafts and so much more! 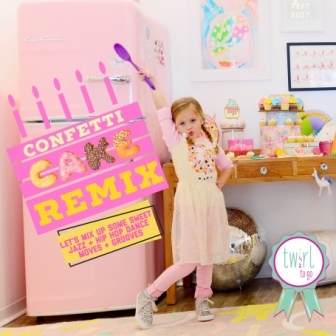 Dance camp is oh-so-sweet and full of sugary beats with Confetti Cake Remix! Dancers are in for a delicious treat with this high-energy dance party filled with sweet moves and dance fun! Everyone loves a disco party, and with summer upon us, we are dreaming of sparkling blue seas and days by the seashore! 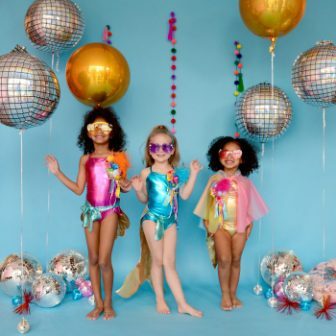 So, we combined these fun themes together to create a super fun summer dance party: The Underwater Disco-Quarium!